When your main seed investor becomes the CEO of AOL, it does have its fringe benefits. Today, AOL announced its acquisition of two local startups: Patch and Going. 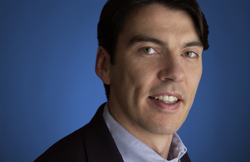 AOL’s new CEO Tim Armstrong is a seed investor in Patch, which offers hyperlocal news for small towns and communities. In a note he sent out today to employees, which we’ve obtained from AOL, he notes that he recused himself from the acquisition negotiations and that instead of profiting from the deal he asked to get his initial seed investment back in AOL stock when it goes public. Going is a local event and entertainment listing site based in Boston which raised a $5 million Series A in 2007. Both acquisitions were in the single-digit millions. Our strategy to win in the five areas we’ve discussed starts with innovation and passion. Of the five areas, Local remains the largest white space and offers us an ability to improve the lives of many consumers. It’s a space that’s prime for innovation and an area where we already have strength with a local network that reaches more than 54 million UVs a month and a valuable brand in mapping services, MapQuest. Our vision isn’t just about optimizing what we have – it’s about overhauling how we approach this space, drawing on our legacy of connecting communities and our long history of organization through DMOZ. It’s about taking one of the most disaggregated experiences on the Web today and making it truly quick and easy for consumers to find the local information they need. Today, we’re announcing two acquisitions that will enable us to better serve audiences by providing experiences that are highly focused on users’ own neighborhoods – Patch and Going . Patch.com was built to provide local towns with a robust and interactive platform to publish news and information, with full-time journalists for each town covering government affairs, education issues, and community events. One of the AOLers in our All Hands meeting on May 29 asked what our plan is to help towns, like his, where the local newspaper has gone out of business. Patch is an acquisition that may eventually help that town. Under the leadership of co-founder and CEO Jon Brod, Patch has been able to launch five initial town sites since February and has just announced four additional communities. Moreover, Patch has already received over 230 user requests for “Patches” spanning 39 states and 12 countries. The second acquisition is a small company located in Boston – Going. Going has developed a local events platform to discover and share information about things to do in a number of leading cities across the country. Under the leadership of CEO Evan Schumacher, Going has launched sites in 30 cities – including New York, Chicago, Los Angeles and Miami – and provides users with RSVP tools and advertisers with self-service event advertising. On a personal note, I was an early investor in Patch and committed significant dollars to the vision of improving local communities with deeper online information, accountability through journalism, and a platform for communicating. In discussing our local strategy, AOL and Time Warner looked at Patch as a possible acquisition and I recused myself from that process. At the Time Warner negotiated acquisition price, I was in a position to earn a return on my investment in Patch. However, I have decided to forgo any profit from my seed investment in Patch and I have asked to receive just my seed capital in AOL shares once we separate from Time Warner. Overall, I believe both Patch and Going will add strength and talent to our local efforts and give us an ability to have a unique and defendable local offering that helps people improve their lives. I’m excited that we’ve reached the stage where we can begin implementing in our five key strategy areas, and with today’s announcements we’re off to a great start in Local.